IFOF is a term that means "identification friend or foe" most commonly used in the aircraft industry. It is a thing on a airplane that tells people reading the signal if they are friend or foe. We now have a system of our own. I got this off another site: Have you ever wondered if the skinny girl you see has an ED (A or M)? And proud of it? You so desperetly want to ask or even try to make friends but are scared? Well no more...since we have our ribbon "Ana is a lifestyle..."and its red. I propose that we all get a red beaded bracelet. You can make it or buy them. Wear it daily or when you go out to secretly say that you are proud to be pro-ana or proud to have a ED that is. 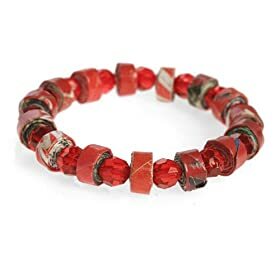 Anytime you see someone wearing a red beaded bracelet, capture thereeye contact and point to your bracelet, and if they ruturn the same point to theirs...then they are ED friendly. If not, then its just someone whom is wearing one. As for those who are older and feel silly wearing a beaded bracelet, wear a red t-shirt every monday or when you go out on mondays. Please pass this along to every proED clubs,forums,websites (secrets/public) for we need to be known widespread secretly amongst us. So, copy/paste everyone!!!! I took a pretty academic approach and read lots of different articles about nutrition, exercise, weight training, and so on and tried to weed out any pseudoscientific/useless stuff and suss out the common patterns to form my own plan of action. That way, I had a concrete plan http://dld.bz/goalsrealistic that I trusted (I had vetted it, after all!) to follow, which made it much easier to stick to. You can find tons of articles and studies online, and if you go to the original source, you're not getting the influence of everyone trying to spin that information their own way.